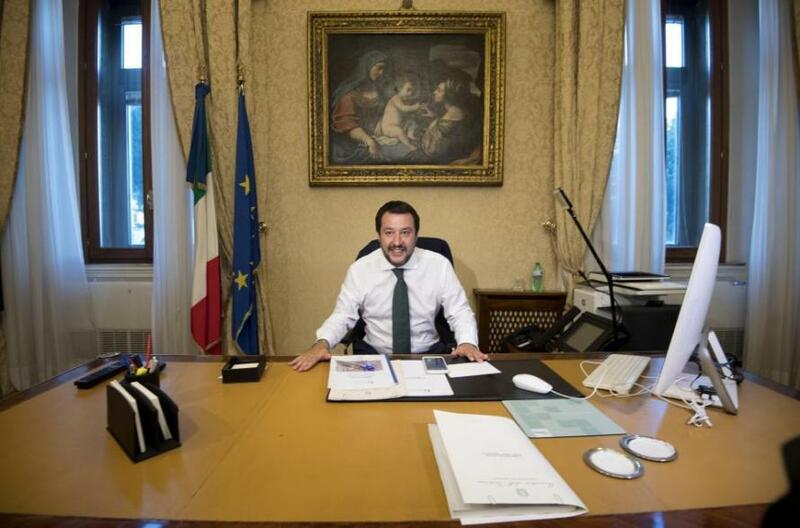 "The free ride is over"
Salvini, the leader of the conservative League party, assumed his role as Deputy Prime Minister and Minister of the Interior on Friday. 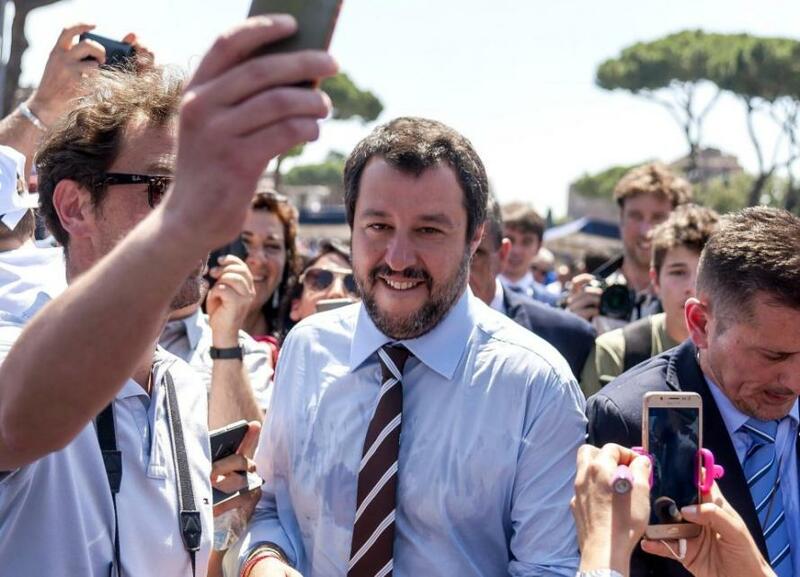 He is currently on the road to rally support for his party's candidates in the south of Italy, attending a Sunday rally in Sicily - a prime destination for most of the hundreds of thousands of migrants which have poured into Italy in recent years, mostly from Libya. 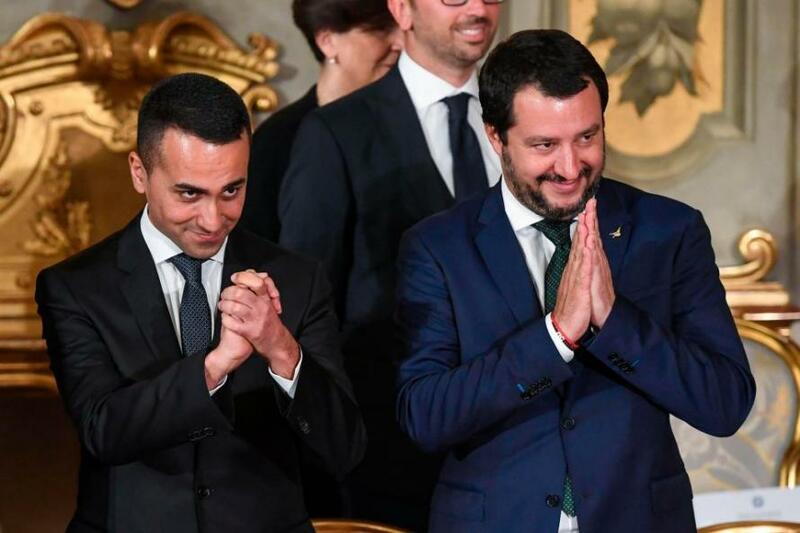 After being sworn in, Salvini said that he would ask experts within his ministry "how to reduce the number of arriving migrants and increase the number of expulsions." In order to boost deportations - of which there were only 6,500 in 2017, Salvini will need to increase the number of detention centers while signing agreements with countries which migrants originate from - most of which are not excited to have their citizens returned. Salvini is no fan of the migrant reception centers - which are run by cooperatives or NGO's who are paid 25-35 euros per day for each migrant they provide lodging, clothes and other services - including psychological support and legal aid. On Tuesday, Salvini will meet with EU interior ministers in Luxembourg to discuss the EU's controversial "Dublin" rule, which requires that would-be refugees file for asylum in the first bloc member-state they arrive at. The rule heavily penalizes Italy, which has accepted over 700,000 refugees since 2013. While the vast majority of migrants used to continue to northern Europe, the introduction of EU-backed processing centers in order to ensure proper identification, along with tighter border controls from France, Austria and Switzerland, have forced the migrants to remain in southern EU nations such as Greece and Italy. Salvini will be Italy's new interior minister, means a lot of Italian refugees will soon be "displaced"
All of which prompted the messiah of migrants - billionaire George Soros - to play his 'blame the Russians card once again, this time accusing Salvini of being a puppet of Putin. Corriere Della Sera reports that the financier took to the stage of the Trento Festival of Economics to launch a strong message of criticism to the new government. Soros said he was "very worried" about the proximity of the new government to Russia, for which the two parties that support the new executive have called for the abolition of sanctions. Putin, "seeks to dominate Europe: it does not want to destroy it but exploit it because it has production capacity, while the Russian economy under Putin can only exploit raw materials and people". In a passage destined to cause controversy, Soros also asked himself whether "Putin actually finances" the League: "Italian public opinion has the right to know whether Salvini is in Putin's paycheck". The Northern League member Claudio Borghi, one of the creators of the economic program of the Carroccio, replied saying that "the wind has changed for [Soros] and for all those who have earned on the death of hundreds of people." BUt of course, could not resist taking a swing at President Trump...calling him "a threat to the world, including America", and arguing that the US president "does not understand the basic elements of the economy." The fact that Trump "got rid of all the consultants who could have prevented him from making mistakes in economics is very dangerous for the world and Europe will be the biggest victim": it would be good that Trump "would not last long".